I was amazed at how easy this is. What a bargain also, you get 10 litres of goo for under $1 I would say. I still have plenty of ingredient left over to make more. It is very effective too. After searching the web there didn't seem to be many variations on the method I followed below. 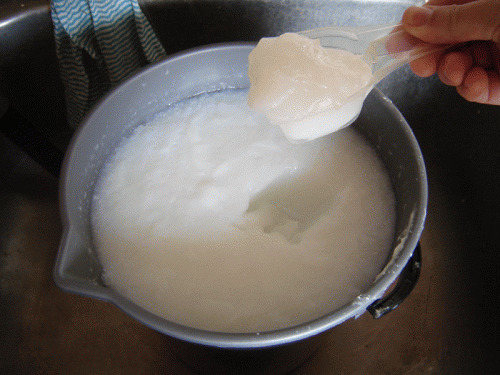 What you will need is: Soap flakes (lux or grate up a bar of soap like sunlight) Borax Washing Soda. 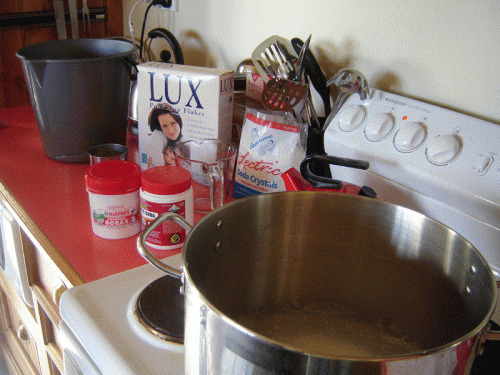 In the above photo I first dissolved 1 cup of soap flakes in 1 and 1/2 litres of water over medium heat. Next I added 1/2 a cup of Borax and 1/2 cup of washing soda. I mixed it, until it was all dissolved and thickened a bit. It will thicken a lot more later. I then poured it into my 10 litre bucket and filled the bucket with hot tap water. At this stage you can add essential oils. I didnt on this try. I then left this overnight and this is the goo I was met with. It has a wonderful consistency and very exciting to see the change. I then add a scoop like shown to the washing machine. I start the load off with some hot water to dissolve this then add the clothes and the rest of the load on cold. I also add a little vinegar as a substitue for fabric softener. The vinegar also cleans the machine of soapy residue. The clothes come out clean, no manufactured fragrance. Bit of sun and you're good to go. Some eucalyptus oil every so often deals with stubborn odours. 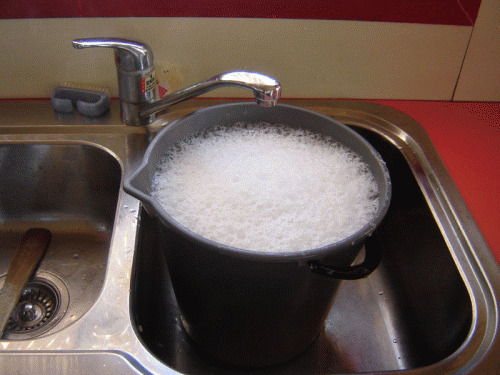 Other suggestions on the web was to substitute part of your grated soap for sard wondersoap. Also every so often to give your whites a napisan soak if your not happy with the results. Update: We now mix the goo with hot water before the wash. Scoop the goo into a bottle. Add hot water. Shake. Add dissolved mix to cold water wash. We are still impressed with the results. The vinegar and sunshine are working well. This mixing was just a refinement that improves the process. Update 10th August 2008: Made our second batch today, I added some eucalyptus oil after mixing everything in the 10L bucket today. Total - $1.28 for 10 litres of gel. Our first batch did us from the 15th June to yesterday. Thats 56 days. We have a new buby, we wash every day. So lets say 50 washes. Thats comes out at about 2.5 cents a wash. A nice saving, great results in the wash and the satisfaction of hand made. Your photos and simple explanations make this very easy to see whole process-I am printing this out and passing on to friends. I have made my own but not been consistent. One thing I did not like was the very basic soap smell, particularly if I perspired or wore a woolen jumper. May try some water soluble oil when I actually put on a wash. Your tip of shaking in jar etc. is good also. Thanks for whole site. Am also into the chook shed-want to build/show a friend- but on a smaller scale of course. All advice there fantastic. Made my bucket-but mine is like jelly - firm. However, it is very usable. Also mentioned it to some women in the supermarket, but did not have your web address, which I have now made a few copies of, and which I will hand out to anyone interested. Am taking the detergent to a drop-in centre, and because I have so, so much, can give out a nice amount to everyone. And as you said, it was cheap to make with leftovers for at least another 2 buckets (but that\'s in the future). Thanks for your information. Thanks for sharing Helena. Its a great idea to give a small amount as gifts. It is also fun to modify the recipe a little each time till you have your perfect version. Hi Sheila, I have not read of any. The front loaders tend to use less water and detergent so maybe you could find a quantity that works for you. 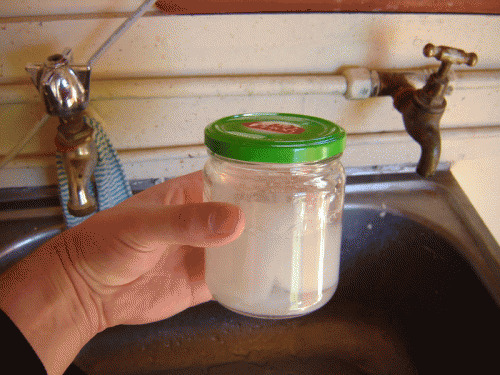 Maybe you would do vinegar rinses to clear the tubes more often. I am not really an expert. © Our Family Projects 2019	Disclaimer | Web Design by Waterfall Way Designs | HTML CSS.